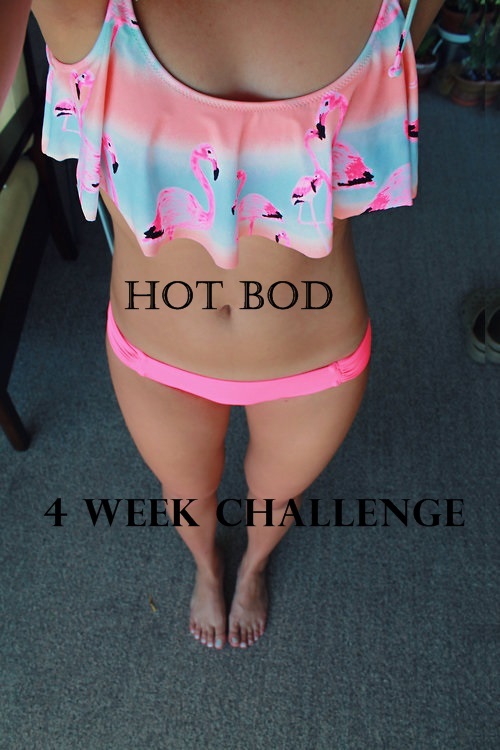 Yesterday was the final day of Hot Bod 4 Week Challenge and I have to say that I was not very good with it. I didn’t follow all of the rules every day and know that if I did, I would have had better results. But with this behind me, I plan on working hard and just trying to eat healthy. As many of you know I promised a prize($15 itunes gift card for your workout playlist) to those who participated. To win that prize, you must be following my blog, instagram, and twitter. And you must comment on this post answering the questions: How did this challenge help you become healthier/fitter? And what were your results? At least 15 people must participate and add your twitter and instagram name in your response. Good luck! This updates gonna be really quick because not much has really changed. I followed the plan better this week than last week but I was not perfect. This coming week is finals week but right after that expect more posts from me. I also have a few surprises for you all that I think you guys are going to like. If you are doing the challenge, how are you doing? Have you seen any changes? I hope Week 1 was awesome for all those that participated. Week 1 was not very good for me though. I ate food I wasn’t suppose to eat and didn’t workout. My cop out is school’s almost over for me and I have to do projects and study for finals but I still should have done better.